Debashis Basu in his columns has been berating the performance of the public sector banks (PSBs) and their lack of accountability. He seems to suggest that there is corruption at the higher levels. While holding no brief for any of the top executives, one wonders if the performance is not on account of poor judgement and incompetence. Bankers’ rise to the top has not been due to merit or performance alone. The banks have suffered due to poor recruitment policy, the lack of lateral movement and poor training and exposure. 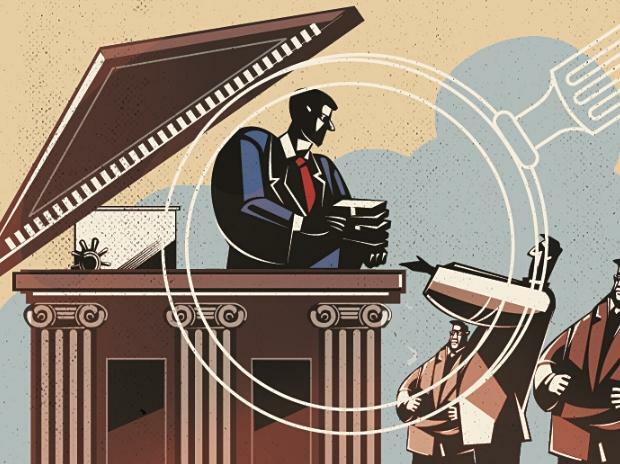 Combine this with various pressures, especially from the government which burdens PSBs with onerous tasks such as pension payments, tax collection, Aadhar enrolment as well as in executing schemes which seem to take the fancy of politicians in power from time to time. After dismantling of term lending institutions, banks were expected to fund long-term infrastructure projects also without being technically equipped or financially capable for the same. In the euphoria of a booming economy, even big private banks jumped into the fray. Foreign banks, which were hitherto part of the cocktail circuit, took exposures and got badly burnt. Business is essentially risk prone. Failures are bound to be there. Just look at our redoubtable Tata group. How many of the forays they ventured into have contributed to their bottom line in the last decade and a half? Corrective measures need to be initiated and implemented. Accusations, unless well founded, serve no purpose.